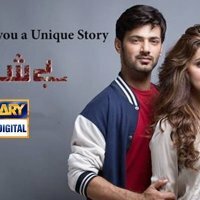 Besharam is a Pakistani drama serial which is aired on ARY DIGITAL on Tuesday night. In this drama serial Saba Qamar, Zahid Ahmed are in lead role. Rehan Sheikh is also playing a great role in in this drama. This is a very famous drama serial in Pakistan.